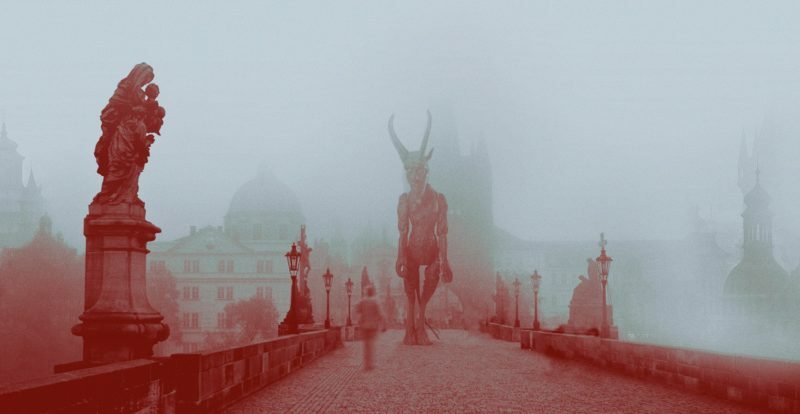 Prague in the 1990’s, a time between the Velvet Revolution and the rise of mass stag night tourism – this is the era evoked by The Tiger Lillies on their new album ‘Devil’s Fairground‘ which is released this coming Friday. It’s a time that the band – Martyn Jaques (vocals, accordion, piano, uke), Adrian Stout (double bass, theremin, singing saw) & Jonas Golland (drums, percussion) – relate to as they were there. They found a city of exceptional hedonism which they happily joined in with, but there was the down side of legless drunks, bored hookers and fatherless children.